Home > Join Us > Baptism for Older Children/Adults? The rite of Christian initiation presented here is designed for adults and for children who have attained the use of reason and are of catechetical age (not infants or toddlers). Called by God to the way of faith and conversion, consciously and freely seek God and membership into His family, the Church. You may inquire at any time of the year about the RCIA program in the parish. In fact, there are different stages or periods involved in the process, which are always attentive to the freedom of the inquirer. We are here to help you answer your questions about the faith and therefore, we are here to help you strengthen your conviction to respond to God’s call. 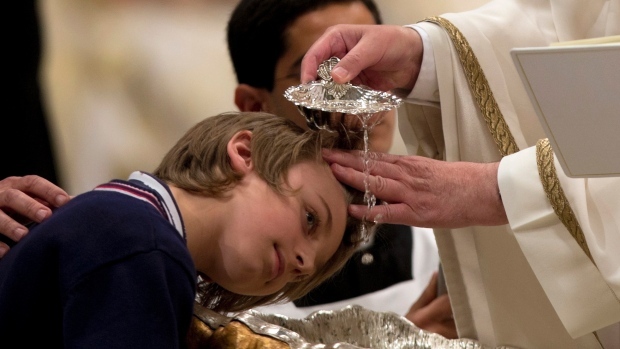 Through the RCIA, and after making your commitment to God’s call, candidates are accepted into full communion in the Church on Easter Vigil through the Sacraments of Baptism, Eucharist and Confirmation. Please call the Parish Office @ 315 594-9430 for inquiry or to schedule a meeting with Father Upson or Deacon Bob.